John McAuley,Tiermoonan, Kinawley, Co Fermanagh. Peacefully at Altnagelvin Hospital, Derry. Remains reposing at his late residence today concluding with prayers at 5pm. House private at all other times. Remains will leave his residence at 7.30pm on to arrive at Saint Naile’s Church, Kinawley at 8pm Requiem Mass on Thursday at 11am, with burial in Kinawley New Cemetery. Willie Gorman, Main Street, Laghey, Co Donegal. Peacefully at his home. Remains arriving this evening to Saint Bridget’s Church, Ballintra for 7pm mass for the repose of his soul. 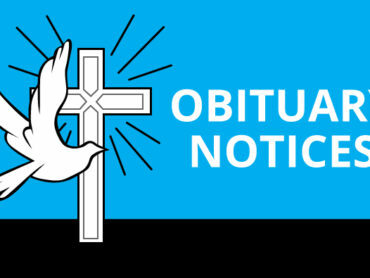 Funeral Service on Thursday morning at 11an with burial afterwards in the adjoining cemetery. Family flowers only please donations in lieu if so desired to Sligo University Hospital c/o Martin Gallagher Funeral Director, Laghey. House strictly private please. Packie Kennedy, Carrickacleaye, Ardara, Co Donegal at the Harbour Lights Nursing Home, Killybegs. Reposing at his niece Brid McHugh’s residence at Carrickacleaye (Pro: Carrick- a-clev-a), Ardara. 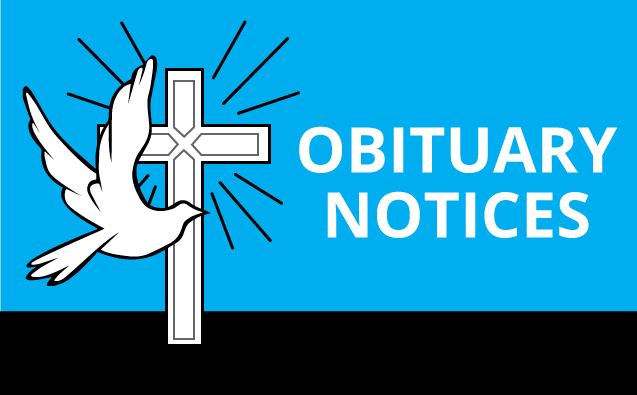 Funeral from there on Thursday afternoon at 2:30pm going to the Church of the Holy Family Ardara for funeral liturgy at 3pm with burial afterwards in the adjoining cemetery. House private from 11pm until 11am and on the morning of the funeral. Family flowers only please. Donations if desired to Harbour Lights Patient Comfort Fund c/o Derek McCabe Funeral Directors Ardara. Eugene McGuinness, Benbulben Lodge, Sligo and formerly of Portnacross, Killybegs Co. Donegal. Funeral arrangements later.